The Epix original series “Road to the NHL Winter Classic” aired its third of four episodes on Tuesday night (the only episode of the series that will air on a night that the Chicago Blackhawks aren’t playing in a game), and as could be expected in an episode about the Christmas break, it was relatively light on content. The episode profiled several families as they celebrated the holiday, and it also featured the highs and lows of an NHL season encapsulated in a single week of action. -If you’re a fan of seeing how players from other countries celebrate the holidays in the U.S., this episode is the one for you. Washington Capitals captain Alex Ovechkin is shown eating a traditional Russian meal with his family, and the Blackhawks’ three Swedish players are shown getting together for a bountiful feast full of exotic dishes (and yes, Swedish meatballs). 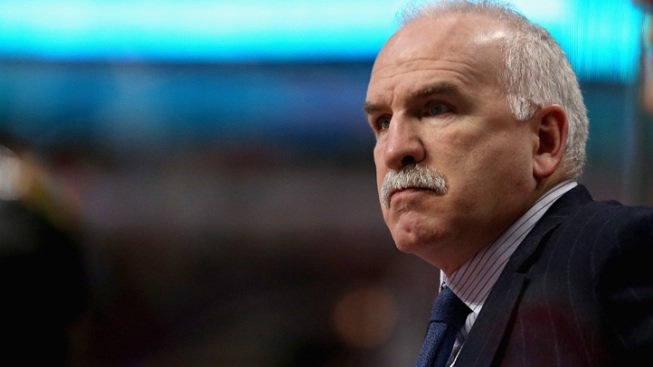 -There are also lower key family moments, with Joel Quenneville and his family skiing in Vail (and the coach getting some excellent ribbing from his kids), and Troy Brouwer icing gingerbread cookies with his two-year old daughter. Barry Trotz and his family also reunite for the holidays in Washington, with his kids travelling in from Nashville, and Joel Ward enjoyed his holiday in New York City with his girlfriend. -In terms of on-the-ice action, this episode was heavy with it, as the producers only had a limited number of games to profile. The Capitals are shown losing to the New York Rangers at one point in the episode, and the Hawks’ lackluster loss to the Winnipeg Jets is also profiled. Both teams do bounce back well after the break however, with Chicago blowing out Colorado and the Caps doing likewise to the Penguins. The swing of emotions between the two games is noticeable. Both locker rooms go from angry during the game to sullen afterward to overjoyed in the following contest when they won, and the cameras document the difference in atmosphere quite well.